Sometimes a single control is all you need. When a control panel is overkill these self mounting Touch Toggles can do the job well. Our Mini-Cup Toggles offer a recessed surface mount with a Touch Toggle built in. The flanged, self trimming design mounts in a one inch hole. The control is recessed just enough to keep it from being operated accidentally from a bump. 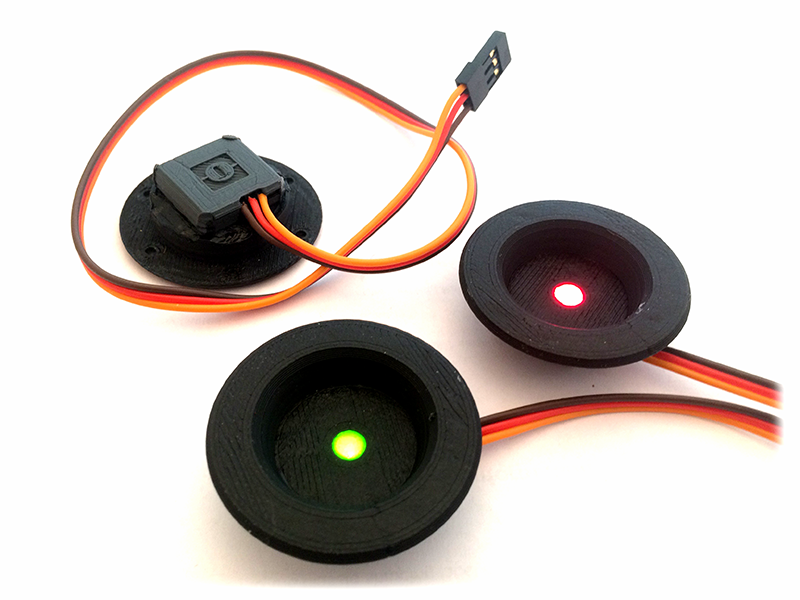 Our Mini-Cup Toggles are available with our popular one light red/green indicator, or with two indicator lights 3/8″ apart that alternate lighting up red and green. Glowing light from the Toggle indicates helps you find each control, and see which way it’s thrown. A momentary touch version with a yellow light makes a great “start” button for layout animations, uncouplers, and anything that needs a doorbell-style pushbutton. Each Mini-Cup Toggle mounts in a 1″ hole, and has a 3/16″ flange to make a 1-3/8″ overall diameter. The assembly is about 5/8″ deep, and the attached “pigtail” can be run out the back of the unit through any thickness of material. They connect just like any other Touch Toggle, and can be run a distance of 20 feet or more to a control base using our 3-Pin Extensions; Extension cables can be connected end to end for long runs. The simple installation is to drill a 1″ hole in your finish surface and run a small bead of acrylic caulk around the inside surface of the hole. Press the Mini-Cup Toggle into place, and hold the flange tight to the finished surface until dry using masking or painters tape. If you ever need to disassemble this installation, pressing on the Mini-Cup Toggle from behind should pop it right out. For those needing a more rigorous installation, starter holes are evenly placed on the rear of the flange to help place neat holes for screw attachment. Read our article about using Touch Toggles to control turnouts and uncouplers on a model railroad. Note: We offer three models as standard Mini-Cup Toggles. 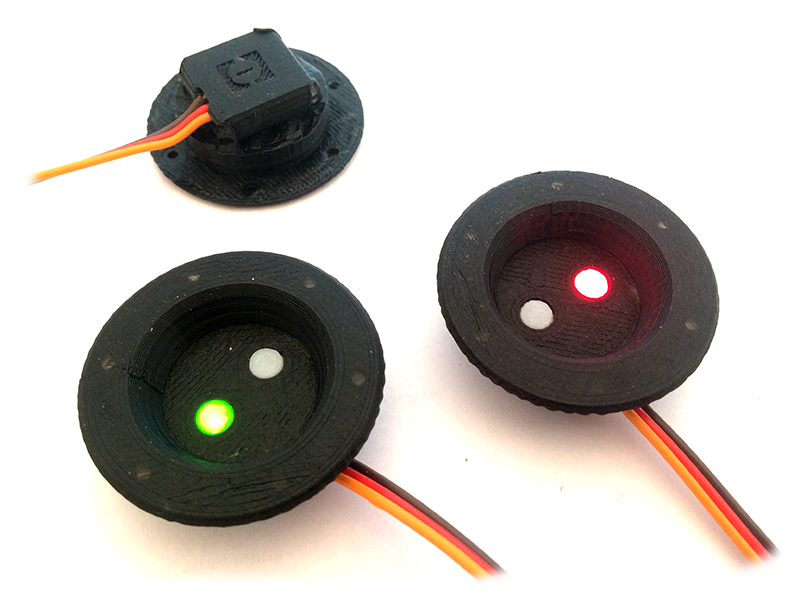 If you need other indications or Mini-Cup Touch Triggers please contact Berrett Hill for a special order.